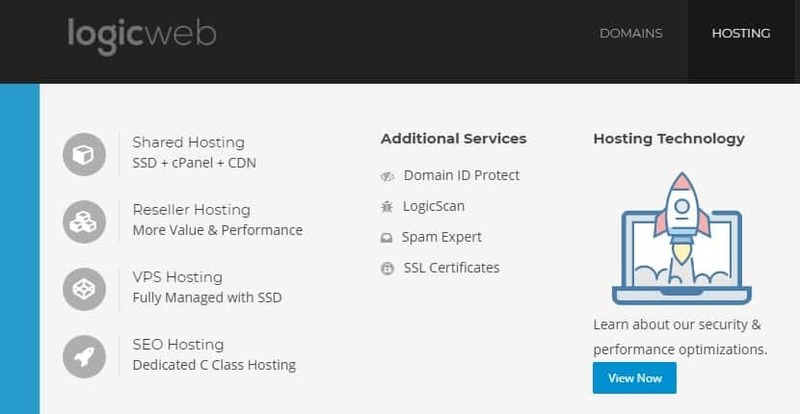 LogicWeb Inc Review 2019: Is LogicWeb Inc a Good Hosting? LogicWeb Inc. is a U.S.-based hosting vendor with an unwavering commitment to providing its clients with excellent website hosting services at affordable prices. The company’s hosting plans are competitively priced and are designed to offer their customers the best possible website performance. LogicWeb Inc. is a U.S. based hosting provider with a presence in a number of other countries including Portugal, France, Uruguay, and China. The company’s resolute commitment to providing clients with excellent website hosting services at affordable prices is noteworthy. They have been in the web hosting business since 2004 and their servers are powered by ultra-fast SSD drives. The LogicWeb website is only available in English. Instant hosting activation – LogicWeb will get you up and running in an incredibly short time. The company has fast support and top security to give you a worry-free hosting experience faster than most other vendors in this space. Free cPanel migration – LogicWeb has its customer support on standby to help you migrate your websites from your former hosts absolutely free. 400+ free applications included – The LogicWeb hosting packages include more than 400 free scripts including Magenta and WordPress, that you can install using the Softculous cPanel, a one-click installation interface. Simple, easy-to-use cPanel user interface – LogicWeb control panel is easy to use and straightforward even for beginners and comes fully packed with great features that will streamline the way you manage your websites. LogicWeb Inc is a hosting vendor committed to giving their customers the best possible website performance. The company’s hosting plans are competitively priced. LogicWeb Inc. offers a Cloudflare CDN service to further improve your website speeds at no extra cost. What’s more, the U.S.-based company provides automated daily backups at no extra cost. LogicWeb has no free version or free trial period for any of their hosting plans. However, they have a 30-day money back guarantee. The technical support at LogicWeb Inc. is impressive for a number of reasons. Firstly, it is available around the clock 365 days each year. Secondly, their ticketing service is backed by a polite, friendly and professional support team that seeks to give its customers all the help they need to enjoy any of its hosting solutions. Lastly, it has made provision for live chats and is extremely responsive. I was impressed by LogicWeb support team when I called them. They talked to me politely and immediately understood the issues I had raised. I felt that the direction they gave me was helpful. onClick="trackClickout('event', 'clickout', 'Vendor Page - Visit User Reviews', 'LogicWeb Inc', this, true);"
While they are not the cheapest you will find, their feature-rich nature should be a consideration you ought to seriously consider when choosing a hosting solutions provider. In addition to the standard features that most hosting companies typically include, LogicWeb Inc. offers much more. Wondering how LogicWeb Inc stacks up against other Web Hosting companies? Enter any other Web Hosting company and we will give you a side-by-side comparison.